Kate Spade is an iconic name in fashion, synonymous with sleek, sophisticated handbags. The designer died on Tuesday of an apparent suicide. She left a strong legacy in the fashion industry. Spade, who grew up in Kansas City, said she never expected to start a handbag company. In 1986 Spade started working at the fashion magazine Mademoiselle, climbing the ladder until she became a senior fashion editor. But she said in an interview with Fortune Small Business that by 1992, she needed a change. Encouraged by her husband Andy, she quit her job and started designing handbags. The next year, she launched her eponymous brand. Andy joined the company full-time in 1996. 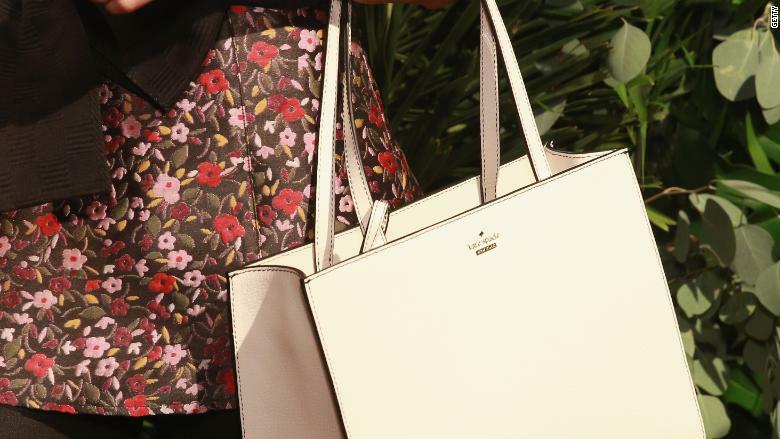 A Kate Spade bag at fashion week in New York City in 2017. At the time, the company made just six handbags. They quickly became popular, and the company grew. Kate Spade went from a scrappy purse business to a fashion empire that sold clothing, shoes, jewelry and home goods, competing with bigger companies. Over time, Spade distanced herself from the business. In 1999, Kate and Andy Spade sold 56% of the business to Neiman Marcus for $33.6 million. Liz Claiborne acquired the company in 2007, and Kate Spade left her namesake brand. In 2017, Coach snapped up the brand in a $2.4 billion deal. "Although Kate has not been affiliated with the brand for more than a decade, she and her husband and creative partner, Andy, were the founders of our beloved brand. 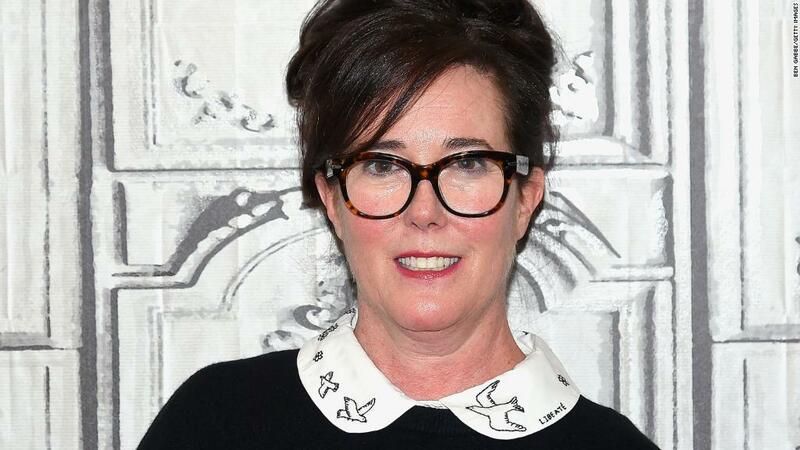 Kate will be dearly missed," a Kate Spade spokesperson said in a statement on Tuesday. 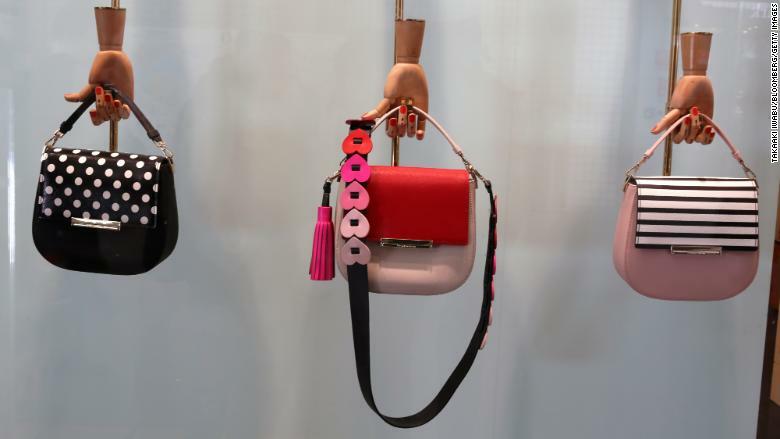 Kate Spade handbags are displayed outside a shopping center in Japan this year. But Kate and Andy Spade never stopped working in fashion. In 2016, they launched a new shoes, handbags and accessories company, Frances Valentine, along with their former partners Elyse Arons and shoe designer Paola Venturi. On social media, prominent figures mourned Spade's passing. Chelsea Clinton tweeted, "My grandmother gave me my first Kate Spade bag when I was in college. I still have it." Over the course of her life, Spade earned many awards and accolades for her work. She has been honored by the Council of Fashion Designers of America, and her designs were featured in an exhibit at the Cooper Hewitt Museum in New York. — CNN's Carolyn Sung contributed to this report.